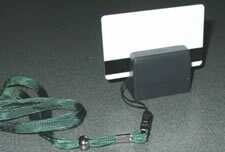 The MSR123 K Old Version is a battery-powered portable magnetic swipe reader, which is specially designed for magnetic stripe data collection anytime and anywhere without computer. Large memory can collect 3000 data. Built-in Time clock indicates every transaction date and time. Auto Power Off can be set by user. Data is read from the card and kept into the memory then downloaded to the computer.